Paradise Ruby Lantern Hummingbird Feeder. Hand-etched hummingbirds and flowers. 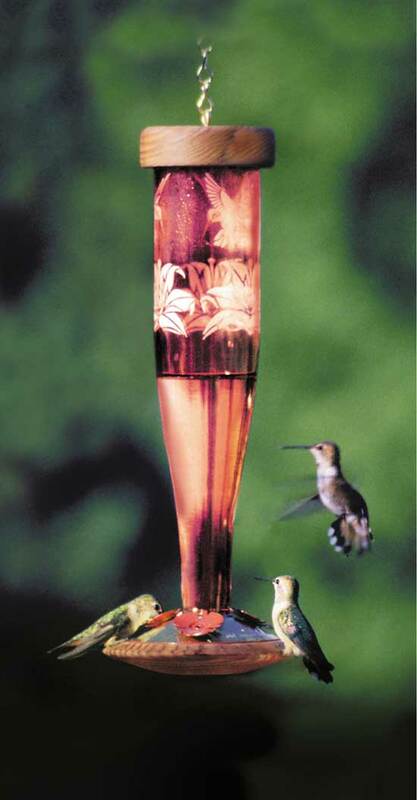 Paradise Ruby Lantern Hummingbird Feeder. Hummingbird Lantern features an original hand-etched design revealing the enchantment of flying hummingbirds and enticing tigerlilies. This elegant pattern encircles the bottle. I was very impressed with the hummingbird feeder. The detail was amazing. It was a birthday gift for my mother-in-law, she was over joyed. Keep up the good work and I wish you the best with your business.